Consumers trust experts who are validated by the media. You can't be misquoted when you are the author, giving you a platform without filters. Search engines use news stories as part of their algorithm in determining the value of a website. A news story typically remains on the web forever, reducing your cost over time. MACIAS PR was founded in 2009 by Mark Macias - a former Executive Producer with NBC and Senior Producer with CBS in New York. Every media campaign is developed with an insider knowledge of the elements needed for a compelling news story. We work closely with our clients to develop the narrative that ignites intrigue with journalists and drives consumers to action. Our team has run media campaigns for a diverse group of clients across the health care, finance, asset management, technology, mobile and nonprofit space. 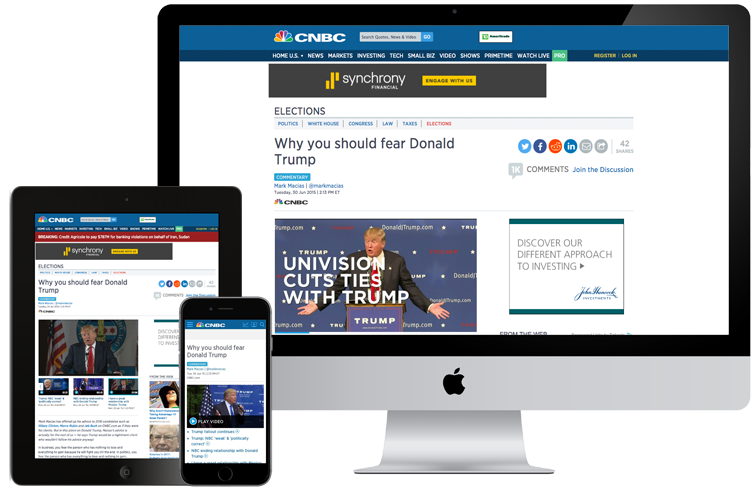 Our insider media approach has secured publicity for our clients with the most influential news organizations, including Good Morning America, The Today Show, The New York Times, The Financial Times, CBS News and others.